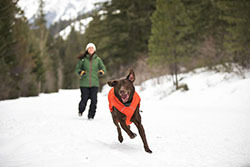 The Ruffwear Quinzee is a packable insulated dog jacket. 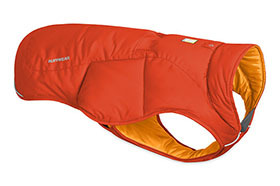 Recycled polyester insulation provides lofty warmth in brisk conditions, while side release buckles provide easy adjustment and on/off. The Quinzee stuffs into its integrated stuff sack for convenient storage on the go.